We're starting our week with music and song — cheerful stuff. Shazam was updated a couple of days ago to add a feature that I can't believe wasn't available before. 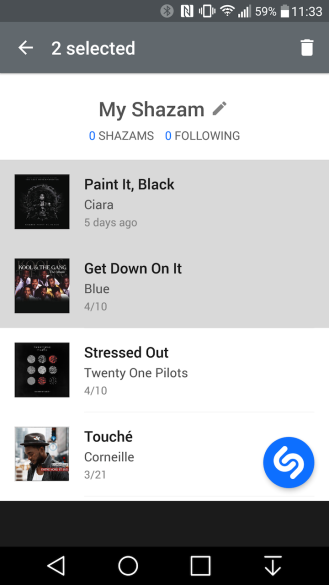 I use the app intermittently, mainly because of the Android Wear component ("OK Google, Open Shazam") and Google Now command integration ("OK Google, Shazam this song"), but I rarely venture to the My Shazams tab so I never noticed that those songs never synced across devices. Lolwut?! What was the point of signing up for an account in the first place?! Apparently, it just worked to keep your followed artists in sync, but not your Shazams. Alright, order is now restored. 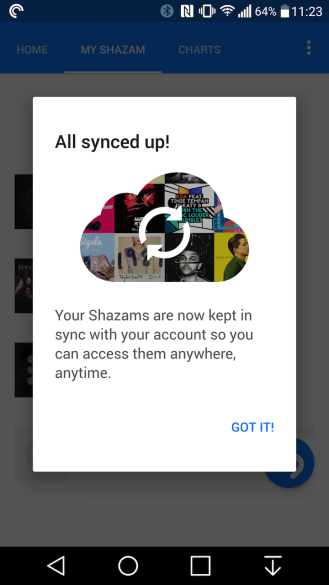 When you're logged in with your account, your Shazamed songs will stay in sync across devices, which means that they'll restore if you get a new device or reset your current one. The other addition is that you can now multiple select songs in that tab to delete them, instead of removing each one individually. Here's the changelog followed by the Play Store link, in case you still haven't installed Shazam. 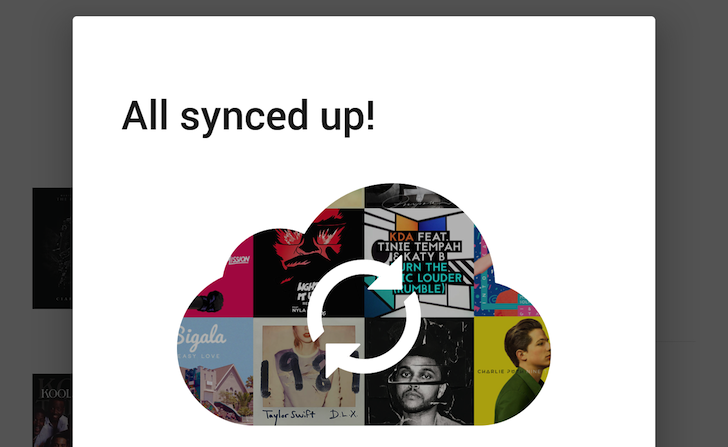 You can now keep your Shazams safe and in sync between all your devices. Just log in and we’ll back them up to your account, where they will always be waiting. Got a new phone? Log in and we’ll bring all your past Shazams back. We also added a feature that had been requested by our users for a long time: If you tap and hold a Shazam from the MY SHAZAM tab, you'll enter the 'edit' mode, where you'll be able to multi-select Shazams to delete them all at once.